Welcome to Bear Creek Family Dentistry Fort Worth Office. 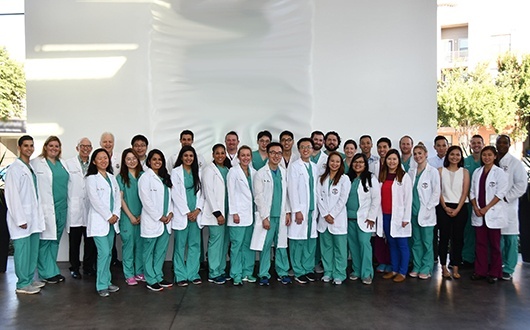 When it comes to family dentistry in Fort Worth, Bear Creek Family Dentistry is simply unmatched in both service and patient care. We’re proud to offer a level and range of service you simply can’t get anyway else. At our Ft. Worth location, general dentists work alongside pediatric dentists, orthodontists, oral surgeons, and prosthodontists. That means you’ll have a team of experts collaborating together to give you the best care all under one roof. Plus, our specialties come to you so you won't need to run all around town, saving you time and money. Our office is located near the corner of Forbes St. and Miller Ave. We’re in the same area as a MoneyGram, ACE Cash Express, Fiesta Mart, and Domino’s Pizza. If you’re driving south on I-820, stay on it until it becomes E Loop 820 S, and then take exit 31. From there, drive to Berry St. and take a right. Continue on Berry, and just after you pass Pate Dr., our office will be on your right. If you’re coming from US-287, just take the exit for Miller Ave. and head north. Our office will be on your right just after Berry St., and before you hit Forbes St.
We've helped countless friends and families all across Fort Worth smile bigger and brighter. Below are just a few of the kind words our actual patients have said about us from reviews around the web! Our Ft. Worth dental practice is an in-network provider for most major dental insurances. You can view a complete list right here. We will do everything we can to make it as easy as possible for you to use your dental insurance. We’ll always make sure you know your financial responsibility before you begin treatment, and our team will work directly with your provider to get the most out of your benefits. If you currently do not have insurance, you can always get a flexible monthly payment plan through CareCredit. Be sure to ask us about the CareCredit card! Whether they are 1 or 100, all of your loved ones have a place here at Bear Creek Family Dentistry. We’re happy to offer basic and essential preventive services that will keep your entire family tree full of healthy teeth! With just two standard checkups and cleanings a year, our team can prevent small problems like tooth decay and gum disease from becoming major issues. 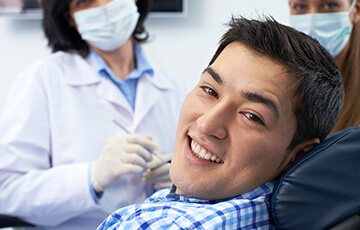 With our preventive services, the last thing you’ll ever need to worry about is your smile! Do you have a cavity or a tooth that has been damaged in an injury? If so, you’re probably suffering from a multitude of dental problems. To fix this, we can offer you a variety of restorative services that can give you your smile back. Treatments such as fillings and crowns can repair small cavities, while our painless (we promise!) root canals can save even the most damaged teeth from extraction. We can even replace missing teeth with bridges and dentures. Also, thanks to our oral surgeons and prosthodontists, you can also get dental implants right in our office, which are the most reliable, durable, and natural-looking tooth replacement solution available today. You’re certainly concerned about your child’s developing teeth, but you want to make sure that the practice they visit will give them a positive impression. Thankfully, our pediatric dentist perfectly understands these concerns. They’ve received special training specifically to meet the dental needs of children. They can offer a variety of child-oriented treatments such as dental sealants, and they’ll always do everything with a gentle touch. 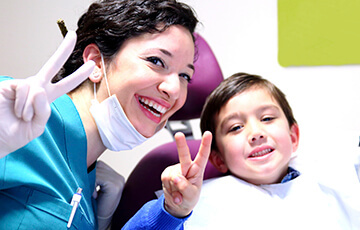 With their help, you’ll be putting your child on the path to long, sustained oral health.